Were you finally getting used to the idea of Microsoft integrating its products and services under the "Windows Live" umbrella? Well, if you're someone who's gotten comfortable with the Windows Live brand, you're about to be jettisoned into the zone of discomfort again. With the advent of Windows 8 looming around the corner, Microsoft has decided to retire its "Windows Live" brand. 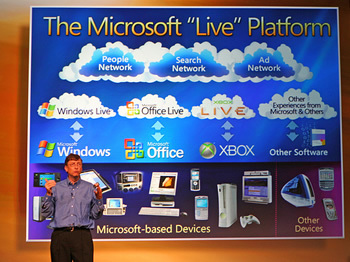 Debuting in 2005, Windows Live has grown to encompass a collection of software and services. But, as Microsoft reasons on its blog, much of that functionality will not only be included in Windows 8 but reimagined. As a result, Microsoft will be dropping Windows Live in favor of a suite of rethought cloud-based "apps" featuring better integration and simplified naming conventions. Services like Windows Live Messenger and Windows Live Calendar or even Windows Live Mail will now simply be referred to as Messenger, Calendar and Mail, respectively. Services like Hotmail will continue operating normally, but Microsoft is looking to unify all of its services under a singular "Microsoft account". The company does not go into great detail concerning what that will mean for @live.com accounts, but the blog post does mention migrating those users over to the new system. The same Microsoft account can also be used for signing into Windows 8 and will be used for Xbox Live, Zune and others. Over the years, a number of Microsoft products have endured some form of identity or brand confusion. In 2005, Microsoft had tried migrating users from Hotmail to its Live brand, but shortly afterward was forced to reverse its plans. Ahhh, forget it. Just read this instead.